Your family matter is important and personal. That is why understanding your case and learning as much as you can about your legal rights and options is so important. Please spend as much time on our site as you need. Read articles, listen to audios and watch informative videos – we hope to provide essential answers to your questions, and bring to mind solutions and facts about Florida family law that you may not have considered. You don’t have to go it alone. If your life has been turned upside down by a separation, divorce, child custody dispute or other family matter, you are at the right place for help. 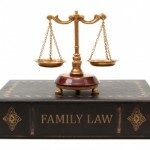 Contact our Florida family law firm to see how we can assist you.